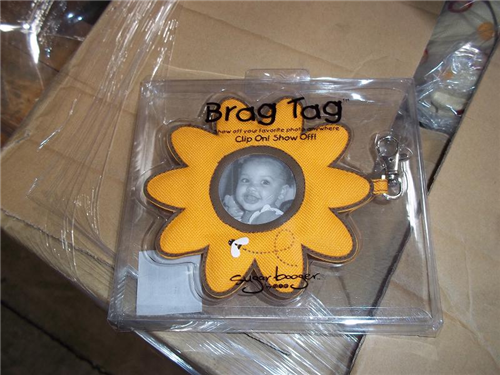 Brag Tag – available in asst patterns and colors. Show off your favorite photo anywhere. Clip On! Show Off! Can supply breakdown of styles upon request.